Without so much market exposure, Hedge Funds and Fund of Funds are products that significantly add to the diversification benefits of any portfolios. 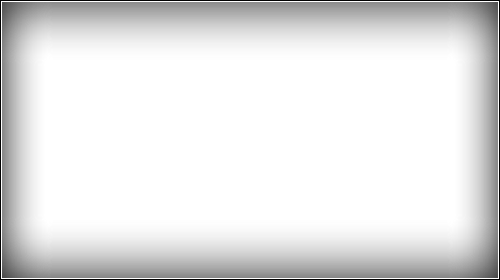 Don’t pay performance fees on Beta – pay for alpha. Hedge funds are great diversifiers – or are they? Hedge funds have always been sold as investment products which offer great diversification benefits to any portfolios as they have low or no correlation with other asset classes. In 2008, a year with the worst equity market performance since the depression, hedge fund failed to deliver upon their diversification benefits. All kind of stories have been given to explain such underperformance. They are only stories as the truth is very simple. 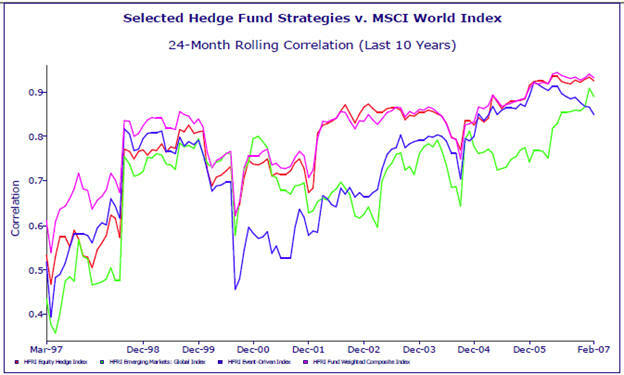 A large proportion of hedge funds are highly correlated to the markets. Investors and fund of hedge funds did not do a good job at choosing funds that would provide good diversification benefits to their portfolios. Many papers have been written about this – yet, some marketing stories try to avoid the truth. I warned investors about this at a hedge fund conference in 2003. This was summarized in a short article in the Canadian Investment Review (Spring 2004): “DON'T PAY FOR BETA - Seek out alpha and avoid settling for at-par market returns” . On Feb 6, 2009, I wrote a short article on the e-newsletter of Benefits Canada explaining that the bad performance of hedge funds in 2008 was due in large part to poor risk controls and particularly to the large market exposure in most hedge funds: “The True Reason Hedge Funds Performed so Poorly in 2008” . Is the hedge fund community lying to its clients? Generally no. While many hedge funds have no or very little market exposure, many/most do and those who do generally disclose it. Such hedge fund will generally disclose either their correlation with some market index, and/or they will show their average beta vis-à-vis such market. While many investors think they are buying products with no or very little correlation with the markets, they have the evidence in their hand that the product they are investing in is highly exposed to market movement. The article I referred to in my original warning was by Cliff Asness and al “Do Hedge Fund Hedge” (2001). It is shown that the Beta of the average hedge fund is 0.84 – far from a low correlation with the market. There is a very simple relationship between beta and correlation. Typical equity managers will have a correlation close to one if they properly manage their risk. 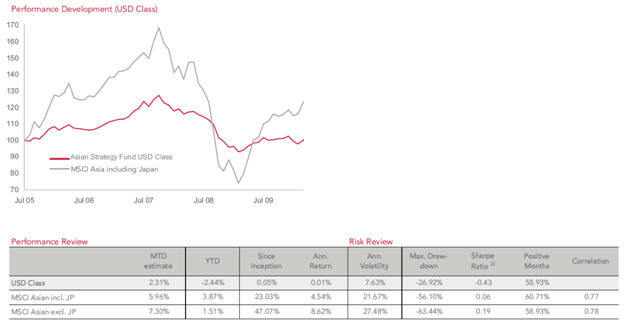 The only way to deliver performance uncorrelated with a market is to have a beta of zero vis-à-vis that market. That high beta of over 0.80 was in the late 1990s - early 2000. How did Beta evolve since then? An analysis was done in early 2007 by Plexus Mauldin of various HFRI indices (HFRI Equity Hedge index, HFRI Emerging Markets – Global index, HFRI Event Driven Index, and HFRI Fund Weighted Index). While the average beta was around 0.8 in the late 1990s, it has grown to more than 0.9 in 2007. As managers tend to invest in yesterday’s winners, their beta drift up during market expansion. Should we be surprised at the loss in 2008 of more than 23% of the HFRX Global Hedge Fund Index in a year where the equity market dropped by almost 40%? Are we surprised that the best performing hedge fund strategies in 2008 were those with no or very little market exposure: market neutral and CTA strategies? Fortunately, as Ibbotson & al shows in “The ABCs of Hedge Funds – Alpha, Beta and Costs” (March 2010), the average hedge fund still delivered positive alphas in 2008! Their loss had nothing to do with alpha – it was mostly due to their market (beta) exposure. 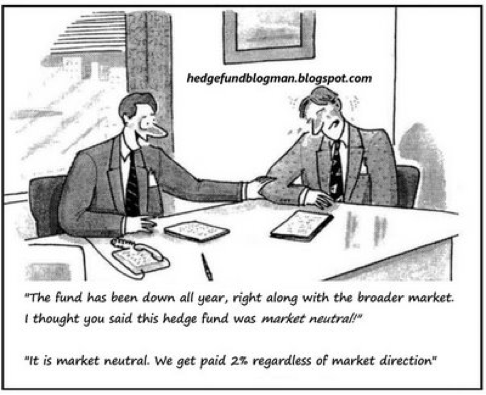 Again, hedge funds did not lie to investors. One HNW investor asked me to look at his portfolio of hedge funds. Most if not all were highly levered hedge funds with betas well above one! Some hedge funds had betas above 3! Of course, when investors and fund of funds managers buy yesterday’s performance, a portfolio with a beta of three will deliver fantastic performance when the market goes up – independent of alpha. Volatility in these high beta funds is extremely high too. Not mentioned is the fact that all these risk measures (volatility and correlation) are generally underestimated due to the non-synchronous trading effect present in these funds – therefore, the reality is even worse. 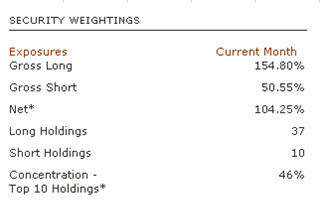 From the above table, we know that this fund is long approximately 155% and short 51% for a net market exposure of 104%. This fund is sold as a long-biased hedge fund, but is this a hedge fund? Traditional long only and 130-30 funds charge an active fee on the return of their fund in excess of the benchmark – i.e. no performance fees is charged on the beta part of return. At what point does a fund manager have the right to charge a performance fee on the beta part of his fund’s return? Here is another example of an Asian specialized hedge fund with a correlation of close to .8, and while the beta is not given, we can see that this time it is much lower, yet still very significant. A hedge fund contacted me about their product. Their fund’s objective state “Whatever the direction of financial markets, the objective is to obtain positive and above average relative returns each year with minimal correlation with financial markets and with low risk.” Thus they want to deliver absolute return with minimal correlation with markets. Their two-page performance report shows a beta of 0.66 and a correlation of 0.73. (Again, these statistics are most likely underestimated). After reading my comments on their fund, their representative told me: “you are correct when you say that the correlation and beta are slightly too high for our stated objectives. We will have to restate those.” Slightly too high? It is huge! Hedge funds’ returns are derived from various alternative beta exposure plus some residual alpha returns. The general idea is that these alternative betas and alpha bring a lot of diversification in most asset allocation framework and therefore increase the return to risk profile of any portfolio. It has been shown that a significant part of the alternative beta return can be replicated passively at a much lower cost. This led to the introduction of numerous alternative beta funds which compete directly with hedge funds. These funds use a statistical approach to calculate how much needs to be invested in the various sources of alternative betas in order to replicate as closely as possible the original hedge fund returns. Since many hedge fund strategies derive a significant portion of their returns from being long the market, replicating strategies involves taking significant position in the market (Beta). The problem with these hedge fund strategies and their replicating counterpart is that market return (Beta) is very cheap – almost free. There is no reason for investors and fund of funds to pay performance fees on the portion of return coming from the market (Beta) exposure. Disregarding the numerous warnings by many people including myself, hedge funds and fund of funds loaded up on beta. I remember warning a leading fund of fund manager in 2006 regarding their market exposure illustrating my warning by saying that if the market corrected by 10%, it would be highly detrimental to the fund. Two years later we experienced the largest market correction since the great depression with markets correcting more than 40%. This major FoF lost close to 20% from its market exposure. Many funds of funds with similar or even much higher market exposure embedded in their FoF lost even more. Clients were disappointed by the lack of diversification benefit they were expecting from their FoF during one of the most severe market correction, leading them to pull out huge amount of money from the industry. A Canadian $5 Billion bank-linked fund of funds had a similar problem. The fund was sold to individual clients with the financial institution’s capital guarantee over a period of time. The FoF lost close to $1 Billion because of its market exposure and was endangering the survival of the financial institution. The fund was therefore liquidated and clients received their capital back, years before the maturity of their investment. A $5 Billion fund of funds was gone in a few months! Market return (beta) is cheap – almost free. Active return (alpha) is rare and expensive. There is no reason to pay performance fees on market returns or on returns derived from market exposure (beta). Hedge funds and fund of funds should deliver true alternative returns and should not have significant long term exposure to traditional markets. If they do include significant long term market exposure, the performance fee calculation should exclude that beta part. If you need assistance in calculating true market exposure, with adjustment made to counteract the underestimation caused from non-synchronous trading effects typically present in hedge fund strategies, do not hesitate to contact us.